As a young woman, Michelle Bachelet was tortured by a dictatorial regime she opposed. Now, the two-time Chilean president spearheads the UN body tasked with protecting others from such rights abuses. Ranked among the world's most powerful women, the 66-year-old has replaced Zeid Ra'ad Al Hussein of Jordan as UN High Commissioner for Human Rights. The daughter of a general who opposed Augusto Pinochet's overthrow of Chilean president Salvador Allende in 1973, she became involved in human rights activism in the 1970s. She and her parents were political prisoners, and her father, an air force general, died in detention. Arrested in 1975 under Pinochet's military regime, Bachelet was held for several weeks at the infamous Villa Grimaldi interrogation and torture centre in Santiago. "I was mainly tortured psychologically, and some beating, but they didn't 'grill' me," she said in a 2014 interview, using prisoner slang for electric shocks administered to detainees. "I was lucky compared to so many others. Many of them died," Bachelet said in a rare opening-up over the ordeal. 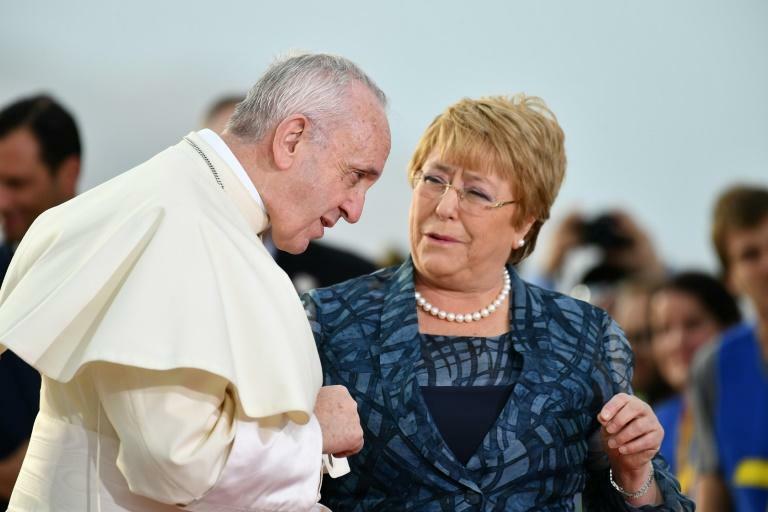 Kenneth Roth of Human Rights Watch, a non-governmental advocacy group, said Bachelet's experience makes her the perfect human rights commissioner. As a former victim herself, "she brings a unique perspective to the role on the importance of a vigorous defence of human rights. People worldwide will depend on her to be a public and forceful champion, especially where offenders are powerful". After their release from prison, Bachelet and her mother spent years in exile, in Australia and the former East Germany. She returned to Chile in 1979 to finish her medical studies, but was prevented from working as a doctor for political reasons. A paediatrician and public health expert by training, Bachelet boasts a long list of firsts over a varied career. After democracy was restored to Chile in 1990, she worked for the health ministry. She was appointed Chile's health minister in 2000 and defence minister two years later -- both firsts for a woman. As president, the avowed socialist reformed Chile's pension system and improved health and social services, focusing on the working poor. Bachelet's UN predecessor, Zeid, opted not to seek a second term after losing support from powerful UN member countries, including the United States, Russia and China. Seen as combative, Zeid last year compared Trump to a bus driver "careening down a mountain path", engaged in "reckless driving" for his attacks on the media. The American ambassador to the UN, Nikki Haley subsequently urged Bachelet "to avoid the failures of the past." With Zeid under fire, rights groups were concerned that UN chief Antonio Guterres would opt for a less vocal human rights boss to replace him. 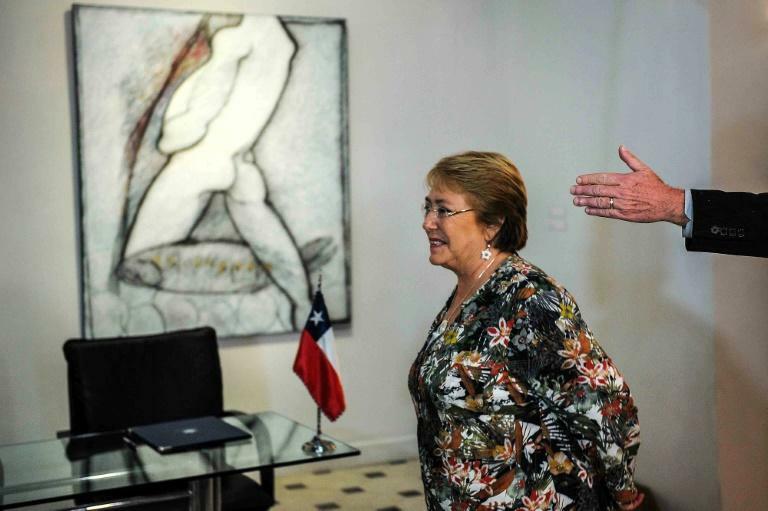 Zeid himself has praised Bachelet's appointment, and urged her not to waver in condemning serious abuses. 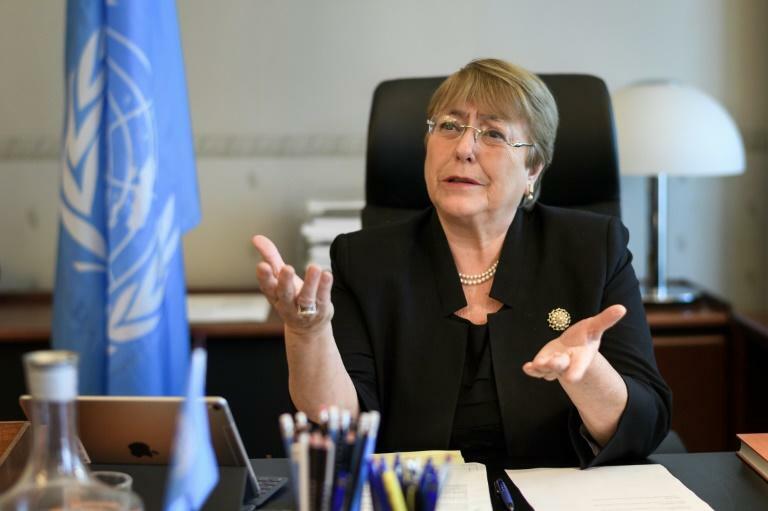 Guterres has described Bachelet as a "long-time champion of women's rights" with a "history of dynamic global leadership, highly-honed political skills and a recognized ability to create consensus." Bachelet will attend her first session as commissioner of the UN Human Rights Council in Geneva on Monday.